As a company concerned about your well being while you live in Salt Lake City, we don’t want you to have to deal with spiders, wasps, ants, box elder bugs, termites, cockroaches, mice, bed bugs, or other creepy crawlies. We want to be able to help you with our first-rate technology and products for pest control. Because safety is always a concern, we only use products that are guaranteed to be safe for children and pets. Creepy, crawly creatures may invade a home or office at any time. When they decide to take up residence in a space typically occupied by humans, a service specializing in pest control in Salt Lake City is needed. Although these critters may seem harmless, they can actually damage the home or office or cause health issues for the inhabitants. With the help of our top-notch technology and our first-rate pest control products, we’ll resolve this problem for you in the shortest time possible. Don’t live with unwanted guests for safety reasons. We use products that are safe for your family and your pets, as we understand how important they are to you. We understand that each situation is unique. 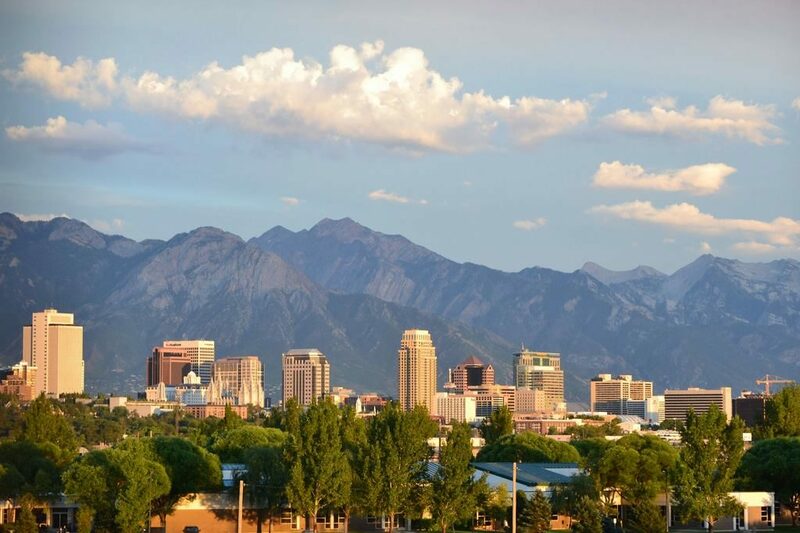 Although Salt Lake City is known for having certain insects that like to move into structures, such as ants, roaches, and wasps, we don’t use a cookie-cutter approach when it comes to dealing with them and eradicating them from the home or office. Our technicians assess the situation to come up with a treatment plan that resolves the problem and ensures more unwanted guests don’t enter the home or business in the future. Regardless of how big or small the problem is, we can be of help. No one wants to arrive home for a quiet, peaceful evening only to find an army of ants eating their way through the kitchen. Sadly, this needs to be the least of their worries at a time like this. Pests often cause damage to the home, and much of this damage may remain hidden until it becomes extensive. For this reason, it’s always best to make use of preventative measures, as they cost a great deal less than repairing a structure. Clients may choose from a one-time pest control Salt Lake City treatment plan or quarterly treatments to eliminate any existing pests and prevent future infestations. We also provide termite control. It all depends on what the client needs at any given time. Business owners dread finding pests, as they can run paying customers away. The presence of unwanted guests leaves the owner appearing negligent and unprofessional. For this reason, every company needs to make use of a Salt Lake pest control service to ensure this is never an issue. With the help of this service, companies can ensure their location always looks its best for customers and clients. We have extensive experience in treating both commercial and industrial properties, and our technicians are experts in dealing with various pests. All are licensed, insured, and certified, and we customize a plan to meet your unique needs. Call us today for a free quote for pest control in Salt Lake City. Pests arrive in a home or office through many avenues. This city continues to grow at an amazing rate, and new homes and businesses are always being constructed. With this new construction, the habitats of numerous animals are disrupted, and this can lead to critters looking for new places to reside. Often, this is an occupied home or business. In addition, students arriving at Weber State University may unintentionally bring bugs with them. This can lead to an infestation in a dorm or apartment complex. Regardless of how the pests arrive, however, our Salt Lake pest control service can be of help in controlling them. The first step is to make the structure a place pests don’t want to take to take up residence in. We do so in a way that ensures the safety of your family and pets, and you won’t have to put up with any nasty smells when you use our Salt Lake pest control services. Our products are the most effective available today and, when combined with the preventative measures, will run any pests that are currently present off and keep new ones away. Termites are a special breed of pest, as they cause billions of dollars in damage to structures across the United States each year, and Salt Lake City homes and businesses are no exceptions. Vertical tubes found on basements walls or brown flecks spotted near water and/or heat sources are a sign termites are present. If muddy tubes are seen around the exterior foundation area of the home, this could mean you have a problem with these pests. Furthermore, any dusty trails under paint or drywall, such as those seen with paint bubbles caused by moisture damage, suggest it’s time to call in a Salt Lake pest control service. People often assume termites only eat wood, yet this isn’t the case. They actually consume anything that contains cellulose. This material may be found in numerous items in the home, including paper and some foods that humans consume. The termites feed on foam, drywall, lead, and plastics when they need food. For this reason, every part of the home must be protected. Our Salt Lake pest control service can be of help with this. Contact us today regarding your pest issues. We’ll be happy to come out and do an assessment of your structure to determine the extent of the infestation. With this information, we ‘ll make recommendations to eradicate these pests and how to go about preventing future invasions. This is your property, and you need to protect it at all times. We’ll work with you to make this process easy and do so in a safe and effective manner. Don’t delay. The longer you do so, the more the pests will take over the structure, and nobody wants that.